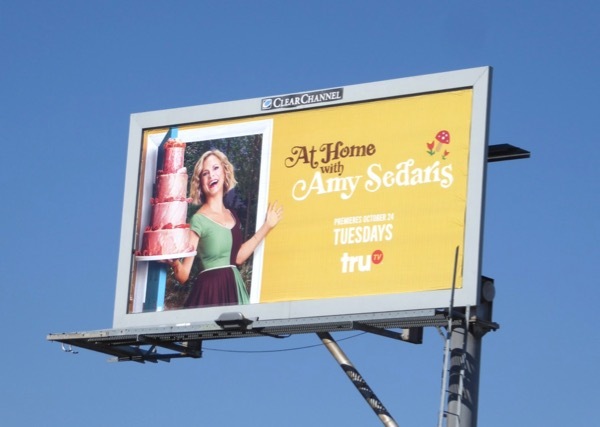 You know, it's not easy being the perfect housewife in today's modern world, but At Home with Amy Sedaris makes it look easy and most importantly fun all at the same time. From crafting to cooking and hosting celebrity guests, this is one funny lady who knows what tongue-in-cheek domestic bliss looks like and wants to welcome you into her comedic world. 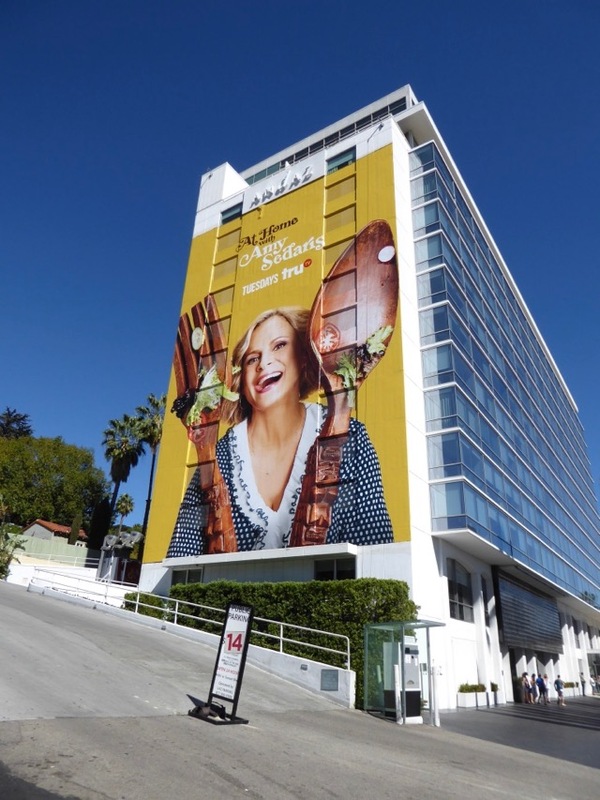 The smaller multi-tiered cake ad for the show was snapped along La Brea Avenue on October 15 and the over-sized wooden salad servers billboard version was photographed along the Sunset Strip on October 22, 2017. 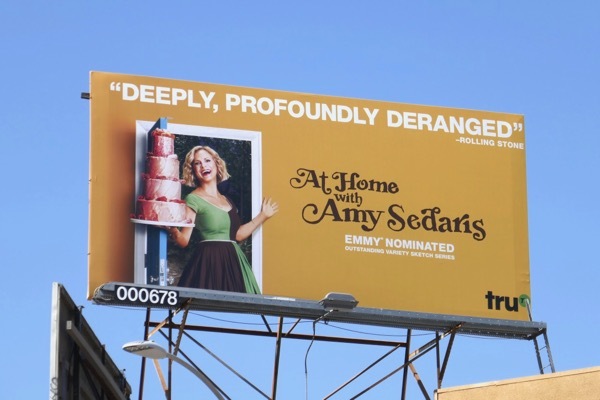 If you don't feel At Home with Amy Sedaris, then you can't be doing it right, so put your feet up, take another sip of your cocktail and enjoy the silliness, satire and innuendo until you feel more comfortable. UPDATED: Here's also an Emmy consideration billboard for the debut season of the show, spotted along Venice Boulevard on June 5, 2018. 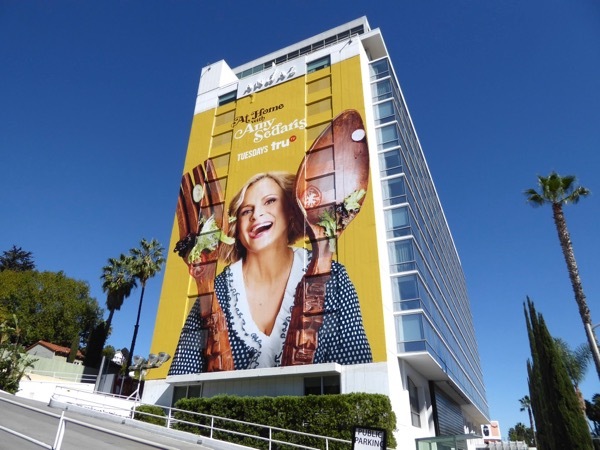 Plus here's another example from the FYC TruTV campaign spotted above Beverly Boulevard on a sunnier June 6, 2018. 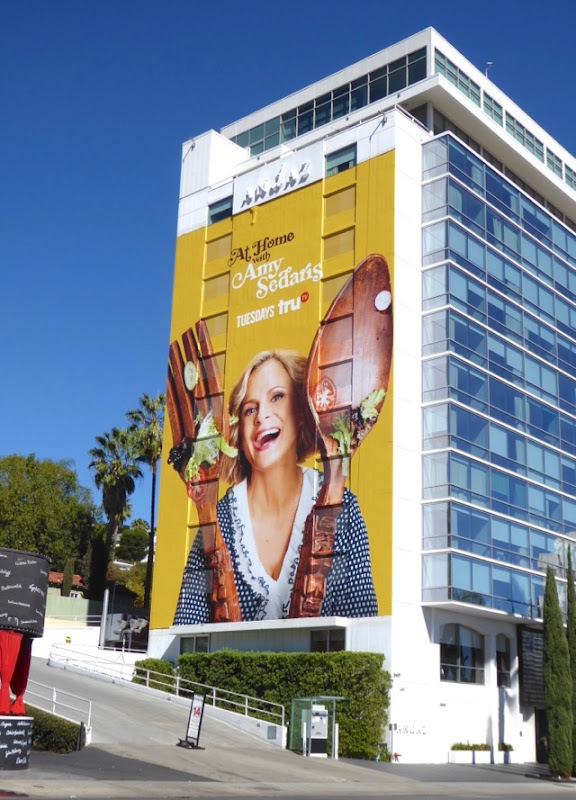 UPDATED: Congratulations to Amy Sedaris for her Emmy nomination for Outstanding Variety Sketch Series. 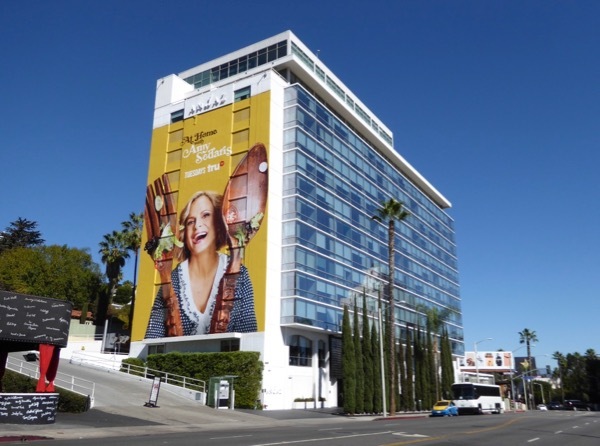 This Emmy nominee billboard was spotted high over La Brea Avenue on August 15, 2018.